Charmant Titanium TI 12151 is a Semi-Rimless frame for Women, which is made of Metal. 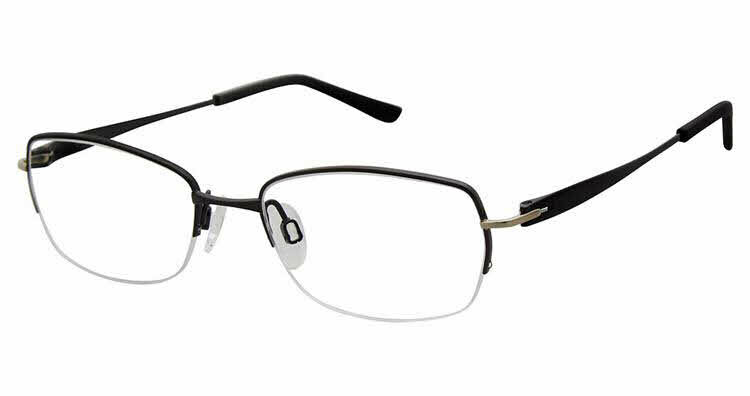 Charmant Titanium TI 12151 Eyeglasses come with a cleaning cloth and protective carrying case. I have not purchased glasses online before now and was leery about it. But after my eye doctor quoted me a price of 600.00 for my bifocals, I decided to try it. The frames were back ordered so it took a little longer for the glasses to be delivered. All in all, I'm very happy with my glasses. They are extremely lightweight and cost half of what my doctor's office wanted.